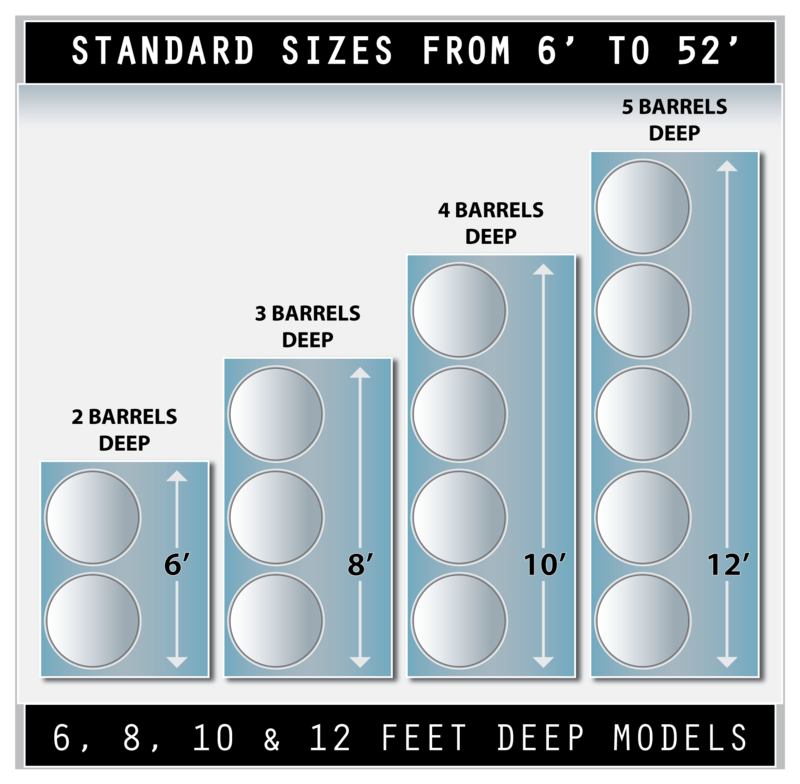 Standard models are available in widths of 6, 8, 10 and 12 feet, and lengths from 6 to 52 feet – it just depends on how many drums/barrels to be stored. Larger and custom sizes are also available. 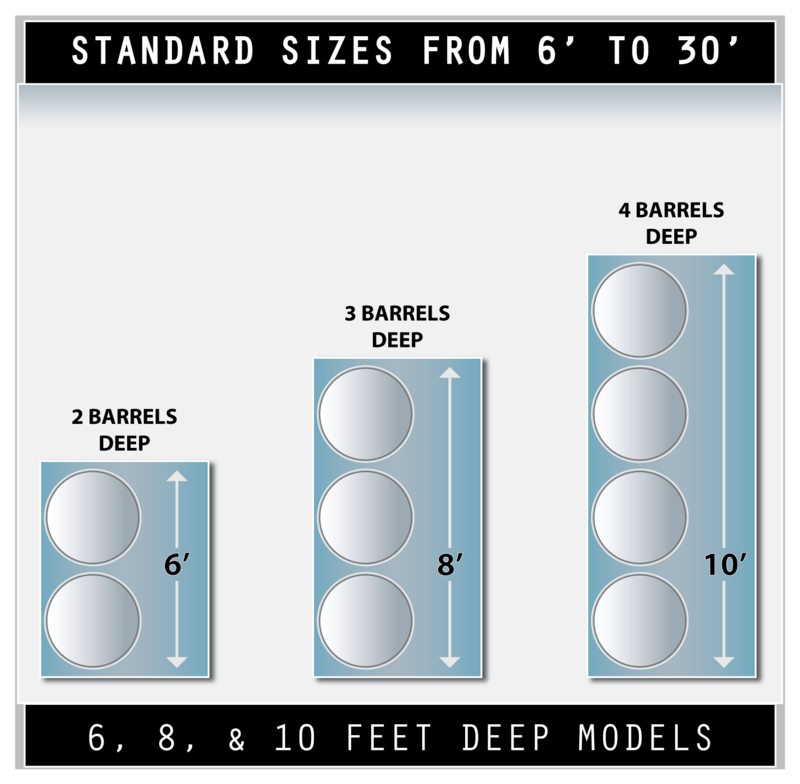 Standard models are available in widths of 6, 8 and 10 feet, and lengths from 6 to 30 feet. 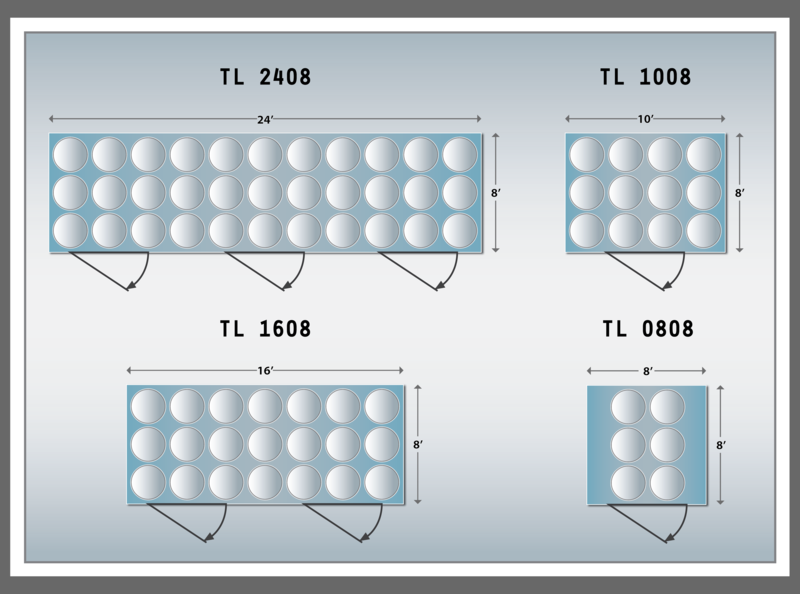 Four standard sizes are available in widths of 8 feet, and lengths from 8 to 24 feet.